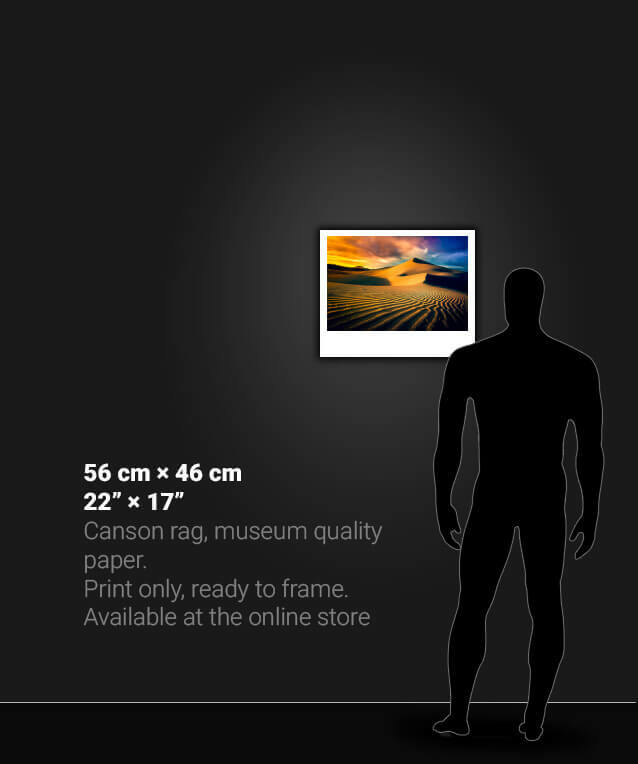 These prints are printed on fine-art, museum grade Canson paper. 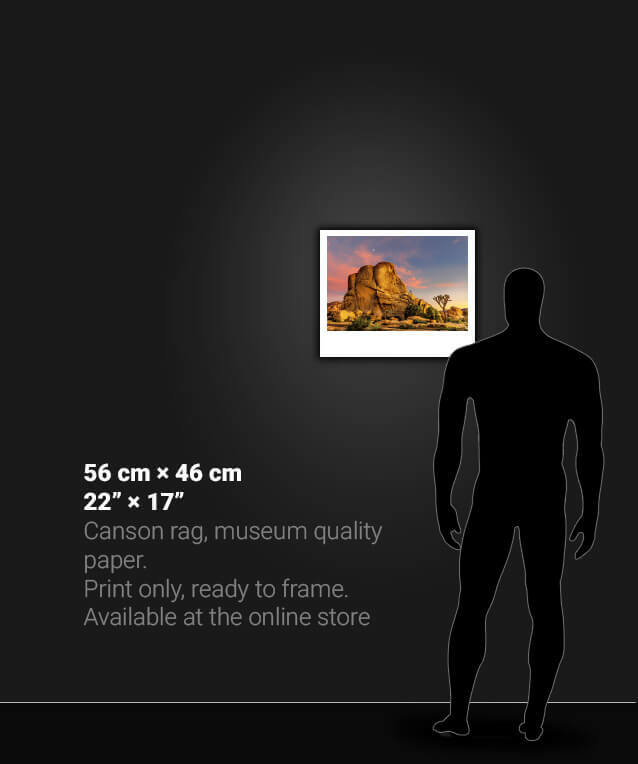 The prints measure 46 cm × 56 cm / 17" × 22" with a 2.5 cm / 1 inch border. They are shipped rolled in a protective cardboard cylinder. They can be shipped worldwide. 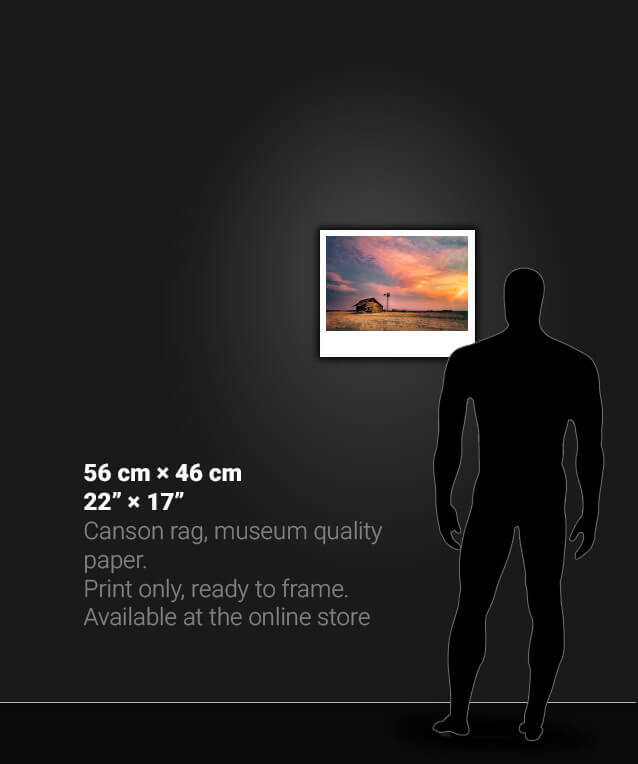 If you are looking for other formats or artworks contact me. Signup to find out when new prints become available. You will receive shortly a confirmation email. Click on the “Yes, Subscribe me to this list” button to confirm.